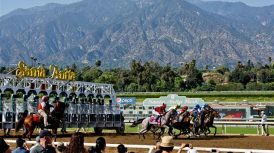 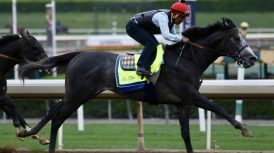 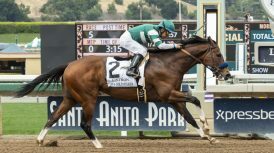 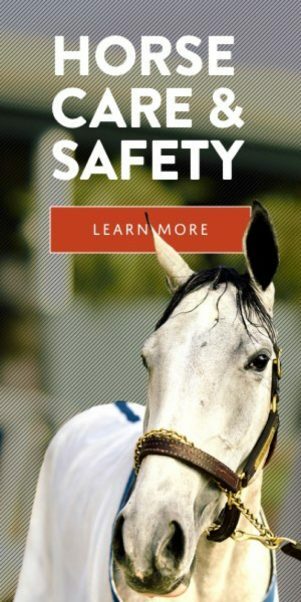 ARCADIA, Calif. (Jan. 21, 2019)–Live racing will resume with a nine-race card on Friday at Santa Anita and fans will be greeted to another $2 million guaranteed Single Ticket Rainbow Pick Six Jackpot, which will begin with race four. 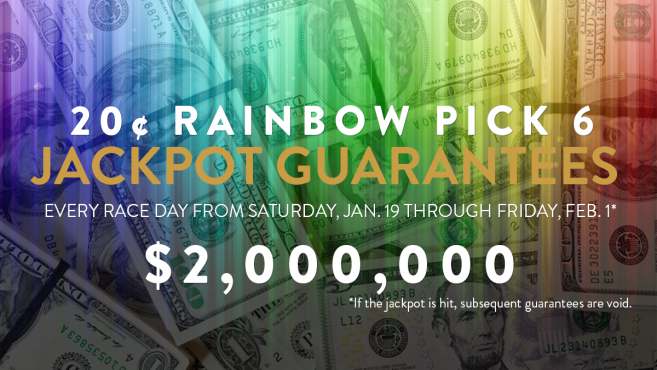 With $419,616 in “new” money wagered today, the Rainbow Six live money pool swelled to $1,558,942. 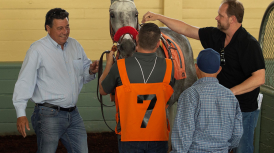 Although there were no single ticket winners, there were 98 consolation tickets with six winners, each worth $2,299. 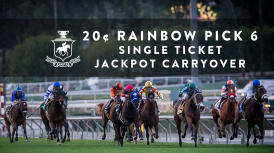 Fans are again advised that Santa Anita will guarantee a $2 million Single Ticket Rainbow Pick Six Jackpot each racing day until a mandatory payout (pending CHRB approval) on Saturday, Feb. 2. 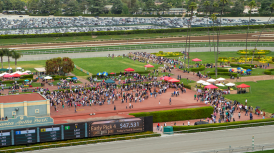 First post time on Friday is at 12:30 p.m. and approximate post time for Friday’s fourth race is at 2 p.m. PT. 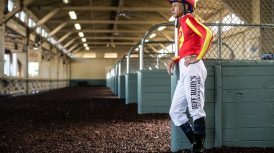 General and Club Admission, as well as General Parking, are free on Friday, with admission gates opening at 10:30 a.m.
With no live racing on Thursday, Santa Anita will be open for simulcast wagering, with admission gates open at 10 a.m.